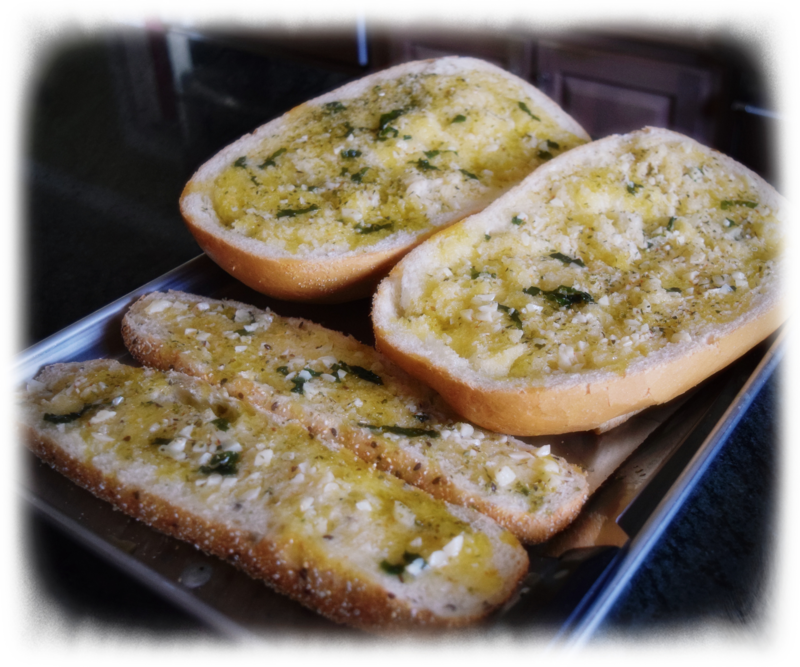 My grandson has a few favorites that I like to make when he is around and garlic bread is high on his list and I must send Ruth’s recipe out to him…Lots a butter Lotsa garlic, garlic bread from Ruth Reichl was just too good to pass up for our Sunday Soup night to share with friends and a piping hot Instant Pot full of Mike’s favorite Olive Garden pasta fagioli was the perfect choice to enjoy the decadent version passed around the table. I had additions of herbs, fresh or dried will do and that last sprinkle of parmesan cheese just before it goes under the broiler…yum. Use a lot of garlic. Melt the butter – 2 sticks don’t and brush it liberally across the bread. When you think you’ve used enough, add more. 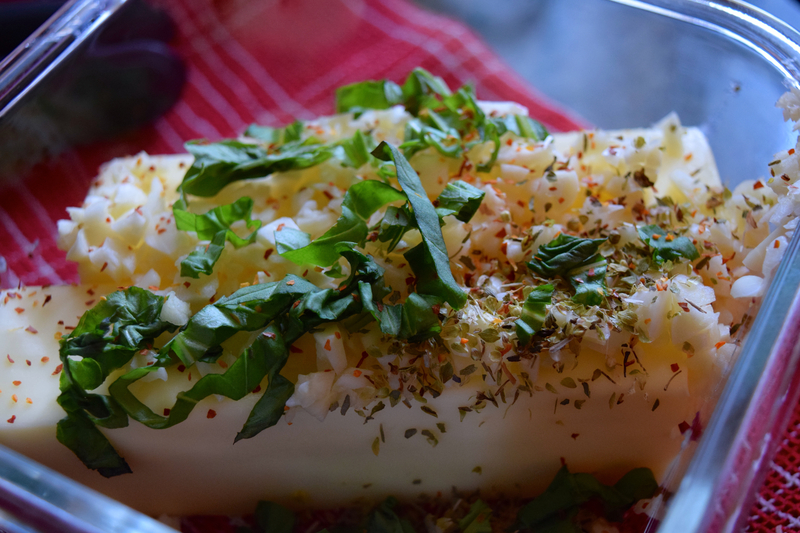 Bake it once to get the bread warm and completely infused with the garlic butter. And again, to get a crisp, golden, crunchy top. Buy a good loaf of sturdy French or Italian bread. Cut it in half, lengthwise (a serrated knife helps). 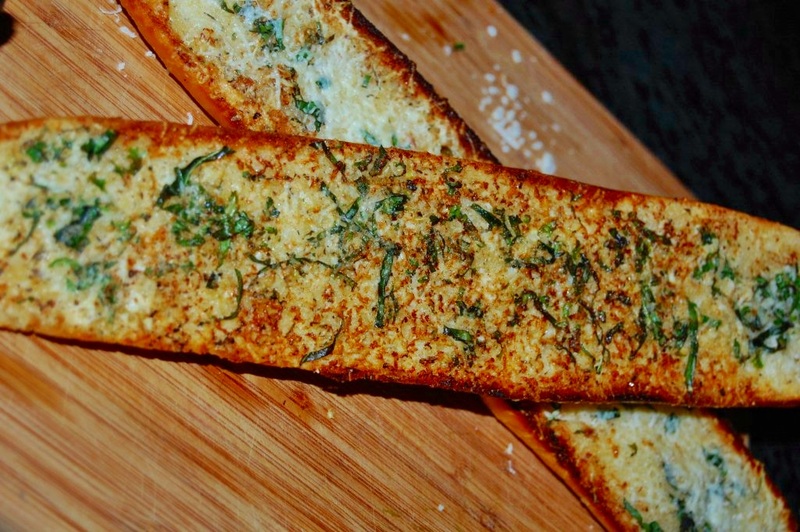 Turn up to broil and broil for about 2 minutes, watching carefully, slice and serve.